You’ve probably seen lots of disappearing nine patch blocks, I’ve made a few myself. But what about double disappearing nine patch blocks? You’ll find all the double disappearing nine patch blocks on the photo in Turnabout patchwork. So you can see all the variations in a real project we’re joined by Sherry of Powered by Quilting, Bobbi of Snowy Days Quilting, Anja of anjaquilts, Mania of Mania for Quilts, Sandra of Textile Time Travels and Anjeanette of Anjeanette Klinder. These fantastic quilt designers and quilters have made projects starting with one nine patch block, slicing it and rearranging it into different blocks and quilt layouts. Don’t forget to check their blogs to see their great work as well as read their experience with my book. This is the last giveaway of the blog hop! Krista Quilts is giving away a jellyroll “strip-pie” of Christa’s latest fabric line, Abstract Garden to a winner in the United States. To win, tell us in the comments which one is your favourite quilt made with this block: Holiday Trellis, Stepping Stones, Two for One or Cross. Sewing strips and slicing them sheds very different blocks as you can see from my chapter Coordinated strips. There are so many variations possible that I could have written a full book of patterns with just this block. You’ll find this table runner and the 2 other quilt patterns with this block in Turnabout patchwork. 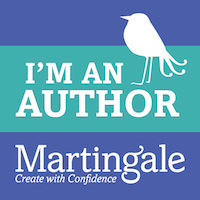 Don’t forget to check their blogs to see their great work as well as read their experience with my book. 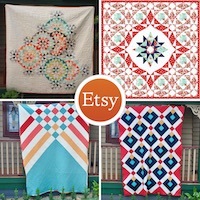 Today The Scarlet Thread quilt co is giving away a set of Bonnie and Camille stranded cotton. To win, tell us in the comments which one is your favourite quilt made with this block: Peaks, Diamonds and Crosses or Knots and Crosses. Star blocks are usually very popular with quilters and in particular Hunter’s Star is an all time favourite. I came across my technique to make this block and its many variations a bit by accident. But it’s great and quick. And the number of blocks you can make is endless. Some more efficient than others, true, but you’re guaranteed having fun playing with it. But there are so many variations of this block. Just change slightly the position of the squares to make a 4 patch and you get a new block and quilt design. Change the orientation of the 4 patch squares and you get a new block and quilt design! You could mix and match colours for the 4 patch and again a new quilt design would emerge, and so on and so forth! 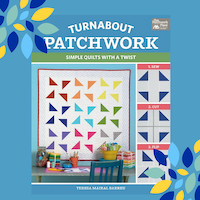 This block is one of the most versatile ones in Turnabout patchwork. You will find 1 quilt pattern featuring this block in the book and 3 illustrated quilt-pattern variations. Now let’s see all the variations of this technique in a real project. Today we’re joined by Anne of Said with Love, Joanne of Quilts by Joanne, Sarah of The Quilted Diary, Becca of Pretty Piney, Sarah of Sew Joy Creations and Sarah of Piccolo Studio. And don’t forget to enter their giveaways too. Today Moda fabrics is giving away a Le Pavot layer cake by Sandy Gervais. I love this collection. To win, tell us in the comments which one is your favourite quilt made with this block: Rose Garden Star, Swirl, Houndstooth or Diamond Star. The quilt on the cover of the book is called Flying rainbows. It illustrates the basic concept of my book Turnabout patchwork. So easy yet so versatile. You will find 1 quilt pattern featuring this block in the book and 3 illustrated quilt-pattern variations. These fantastic quilt designers and quilters have made projects using a modern shoo fly block. 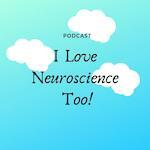 Don’t forget to check their blogs to see their great work as well, read their experience with my book and enter their giveaways. Today I’m giving away one of my patterns, The 4 seasons of the heart, which is a bit similar to Modern Shoofly. The pattern contains instructions to make 4 quite different looking quilts using the same starting 9-patch block. The pattern has instructions to make all 4 quilts in different sizes: crib, lap, twin and queen. You can see all the variations on this video. To win, tell us in the comments which one is your favourite quilt made with this block: Flying Rainbows, Flying Butterflies, Flying Flags or Flying Confetti. While you’re checking the quilts don’t forget to enter the giveaways on my fellow quilters and designers blogs.